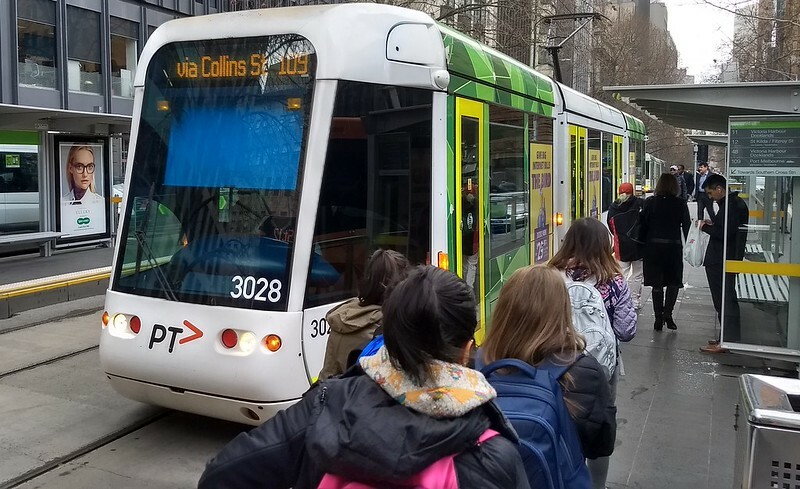 The May 2018 Metro and Yarra Trams passenger load surveys were released last week. It’s worth noting that load surveys are measuring what happens when the service is running as planned. It’s not designed to look at crowding during disruptions, it’s designed to guide future investment. Here’s the TL;DR for Metro: After a reduction in the past couple of years, crowding is on the rise again. 9.8% of AM services are above the threshold, and 4.8% of PM services. To me, this indicates that patronage has kept increasing, and the reduction in crowding in 2017 was thanks to the removal of some seats to increase standing space. 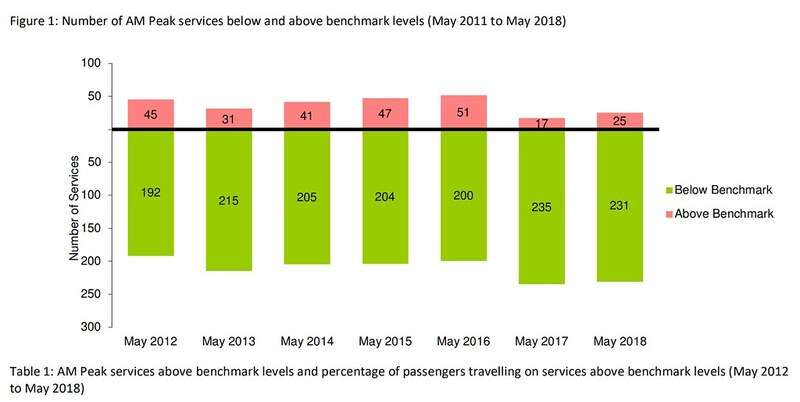 Unfortunately on some lines there hasn’t been a huge number of new services added to the peak timetable in some years — only 5 across the networkwide AM peak between May 2015 and May 2018 according to the graph. Sandringham 0.0% 0.0% In the past has been consistently more crowded in AM peak, but has improved a lot since 2016. South Morang 24.0% 27.2% This survey was before the Mernda extension opened, though that added extra services: AM peak increased from 15 trains in May to 20 now. Hurstbridge 22.1% 0.0% Increased crowding in AM peak. Continued duplication of the line will help run extra trains. Sunbury 18.4% 0.0% Peaked in 2016 but has improved… for now. Basically, crowding on the lines serving the growth areas of Melbourne (especially Sunbury, Dandenong, Werribee and South Morang/Mernda) can be expected to worsen over coming years if nothing is done. Also worth noting: the focus is on peak hours, but there are now real problems outside peak hours, including weekends. Some lines run as little as every 40 minutes on Sunday mornings, and are packed. This should be an easy win to fix, but seems to be a blind spot for the government. The load survey notes say that counts are actually done between 6am and midday, and 2pm and 7pm. It’d be interesting to see the data from the middle of the day, when some lines see a big service frequency reduction. 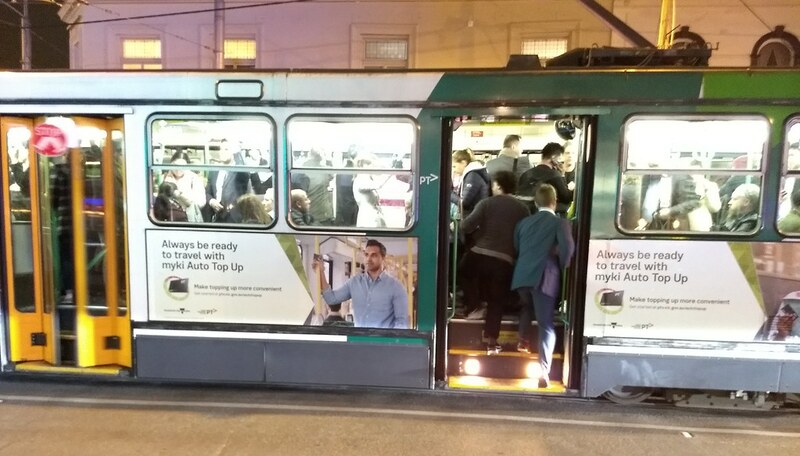 Tram crowding has also worsened, with load breaches primarily on Swanston Street/St Kilda Road, and Elgin/Lygon Street (routes 1 and 6), particularly in the morning peak. Other hotspots in the AM peak include Wellington Parade (routes 48/75 — I’m betting mostly the 48, which usually uses small trams), and on Clarendon Street (route 12, another with small trams). And there’s a twist: for the first time, they measured a “non-cordon” (eg non-CBD) location: route 82 at Droop Street and Ballarat Road — and found that too is overcrowded in the AM peak. Perhaps this should be no surprise: despite huge urban renewal around Maribyrnong, this route is one of the least frequent in Melbourne (only every 15 minutes in peak) and runs all small trams. One can understand where the debate about population and decentralisation is coming from – prompting talk of (among other things) fast rail to the regions. But if decentralisation just means fewer people moving into Melbourne (which at least has some semblance of a public transport network) and more moving into regional areas (many of which really don’t have any public transport, apart from a small number of buses and trains) then that’s not a good outcome. It just means more car dependence and sprawl in towns around the state. Plus our local decision makers haven’t yet learnt that big cities can and do deal with congestion… just not by building more motorways. They can’t necessarily eliminate congestion, but they can ensure that more people can get around without being caught in it, by providing alternatives to driving. 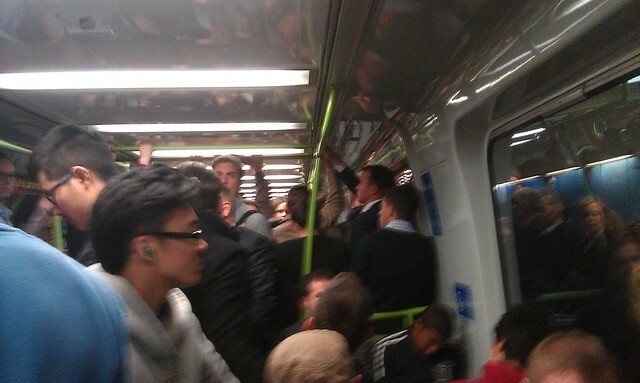 You can argue that public transport in Melbourne and Sydney isn’t coping with our growing population. But it’s incorrect to claim it can’t cope… because we haven’t really tried. There’s almost no proper light rail with real on-road and traffic light priority — the Gold Coast is the only example in the nation. Frequent buses with priority? Very rare. Brisbane is perhaps the only city doing this seriously, and even there the busways are arguably doing the job that should be done by trains. None of this is good enough in a city of 5 million people and growing. While successive Victorian governments haven’t really tried in a serious way to fund high frequency high capacity public transport, they’ve tried everything they can to get the motorways to cater for growth. More and more lanes, “managed motorways” (metering aka traffic lights, dynamic speed limits, automated lane signage). It doesn’t work. Ultimately, moving millions of people around in their own metal boxes simply doesn’t work… which is why the smartest big cities have fewer motorways than we do. The time has come for proper, turn-up-and-go, big city public transport. Our government must do better. On Wednesday I participated in a forum on ABC Radio. The full audio is here. Transport is the middle section, but the whole thing (also covering housing and crime) is worth a listen. PTV released their passenger load surveys for trams and suburban trains, with results from May 2017. They used to do these twice annually, now it’s only once a year. 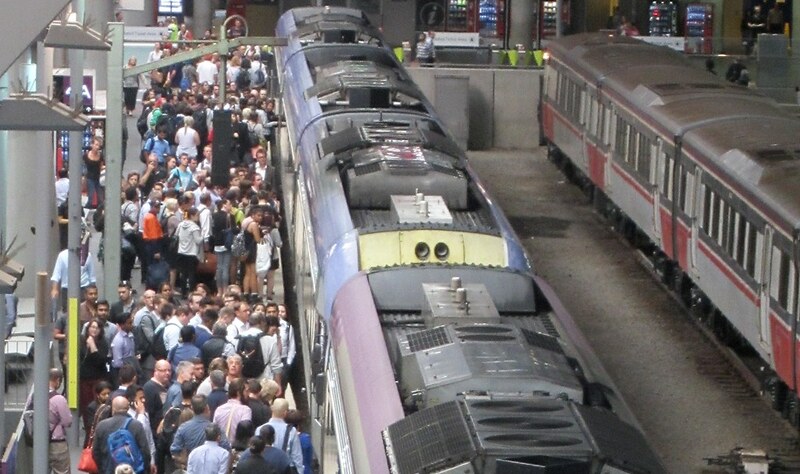 These surveys are used to measure crowding on Melbourne’s trains and trams in peak hour. As usual, cancellations and major delays are excluded. Why? Because the surveys are not measuring crowding for the sake of measuring crowding. They are specifically measuring whether the timetabled services are adequate. It’s not to work out whether cancellations and delays need to be reduced (of course they do). It’s to work out which lines need extra services added. The main thing to note is that, as expected, the benchmark standard for trains has been modified from 798 to 900, following the removal of some seats in 2016. Despite the ongoing confusion over Capacity vs Load Standard, they insist on using the C word in the report. The actual capacity of a 6-car train is actually somewhere north of 1300. 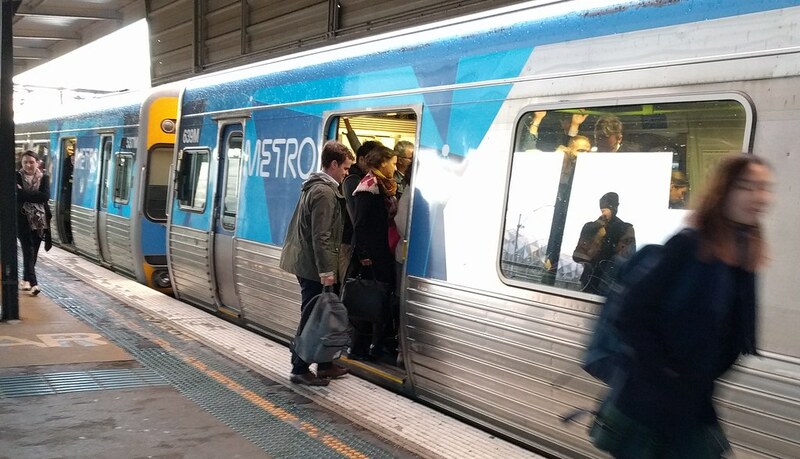 The worst for crowding this time around are the South Morang and Craigieburn lines, both serving growth corridors to the north. South Morang is being extended to Mernda, so clearly that line will need more services when the extension opens. Was removing the seats reasonable? Depends on your point of view… everyone’s got a different perspective, which probably relates to how long your usual trip is, and whether your priority is getting a seat, or you’re more concerned about just squeezing onto the train. I think in this case, they found a good balance (which broadly matches the new train fleet). The overall reduction in seats was about 17%. But this kind of change is a once-off. There would be political ramifications from having a train fleet with barely any seats (I’d be protesting, for a start – trips on our train system are often 45+ minutes). There may also be technical limits due to the capacity of the motors and brakes to handle greater passenger loads. 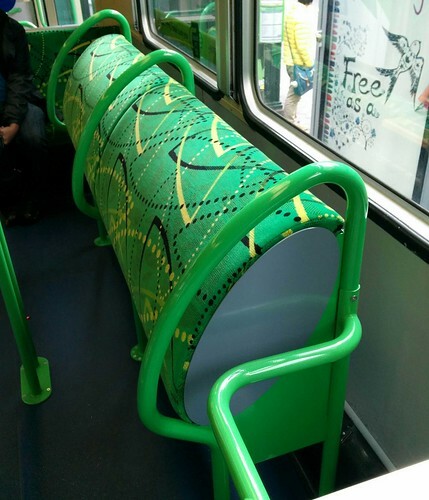 Meanwhile on the trams, they’ve gone way too far with seat removals. The latest revision of the B-class tram (the “Apollo” model) has only 40 seats. The original layout had 76 — so it’s reduction of 47%! And the annoying thing is that the leaning points/bum racks are set up in such a way that they barely save any space at all. They’re big and bulky, and have a substantial gap between them and the wall/window. 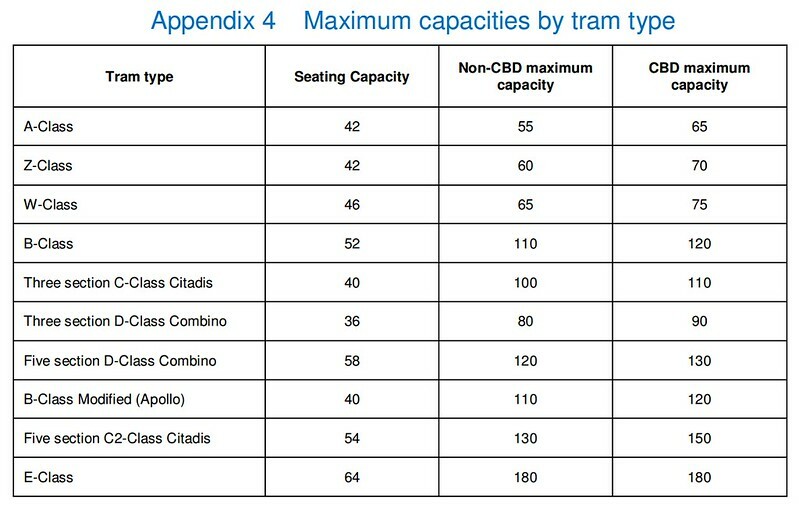 Perhaps it’s no surprise that the tram survey shows that the Apollo variant (with 12 fewer seats) makes no difference to the capacity of the current B-class trams fleet. As for the rest of the survey… overall, tram load breaches are down in PM peak, but have been steady in AM peak since 2015. It looks to me like the tram routes with the most load standard breaches are those that generally use the smallest trams, especially route 48 (almost always A-class trams) and also to an extent routes 1 and 6 (a mix of big and small trams). Some sections of the network have had a lot of patronage growth, such as the southern section of route 58 (measured where it passes the Casino) up 27.8% in a year, following a rise the previous year as well. The northern section of route 58 had a drop in patronage, but I wonder if the route was in flux at the time, as it was just after routes 55 and 8 merged to form the 58, and operations were a mess. On page 15 there’s an interesting note about automated counting by 2018 for tram, train and bus. That’s pretty soon… I wonder if it will actually happen. Because the measurements for crowding are all done at the edge of the CBD (the “cordon”), this survey is not directly measuring crowding from the Free Tram Zone, though I gather that’s measured separately – it’s probably why the plan to divert route 12 to Latrobe Street (and fix poor frequency there) has not happened. The survey has a number of non-CBD measuring points, which can capture hotspots around the network. The new bigger E-class trams are being brought into service, which sees the older large trams (particularly B and D class) cascade through the network. So the big question is: will tram fleet changes will keep pace with population growth from inner-suburban consolidation and re-development? 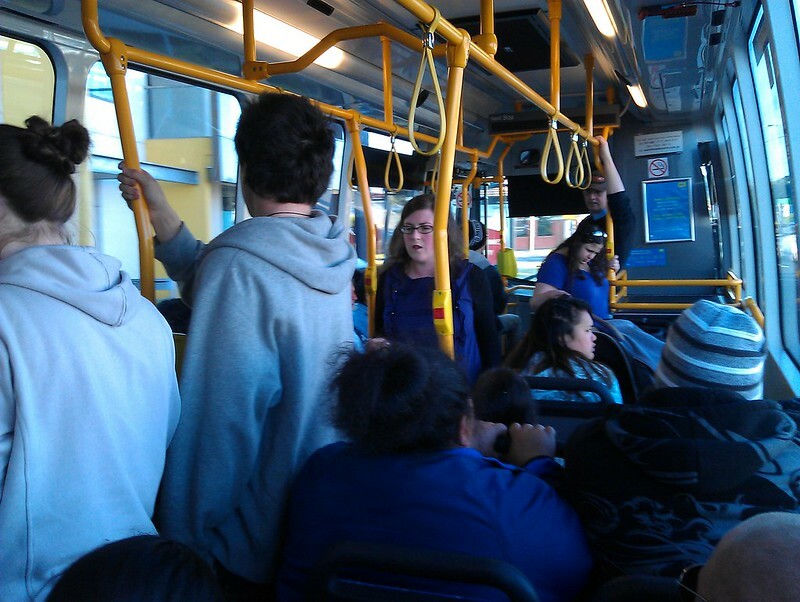 There’s no bus capacity survey, despite ongoing crowding on some routes. Move along, nothing to see here. …documents obtained by the Greens through freedom of information reveal that the positive results did not include many trains that were affected by the knock-on effect of a cancelled or delayed service. Of the 437 trains surveyed, 113 were excluded. Here’s the thing. Load surveys aren’t measuring overcrowding for the sake of measuring overcrowding. 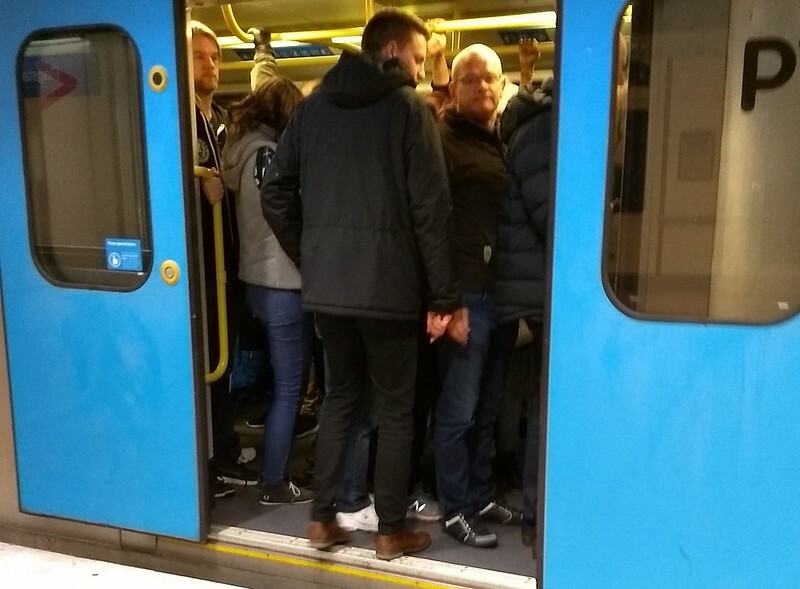 You don’t hire scores of people to stand on platforms with clipboards to learn that cancellations are bad because they result in crowded trains, and we should avoid cancelling services. That is obvious. Load surveys are for designing new timetables, to identify where and when extra trains should run. So while some may disagree, I think it’s perfectly sensible for them to exclude cancellations. To not do so would make it impossible to know where services should be added. By all means they could publish the raw figures, or a version that does include cancellations, but for the primary purpose — service planning — they have to be excluded.